The online election by members took place between 9th and 26th January 2017. 945 ballots were received from a constituency of 2330 members - a turnout of 40%. 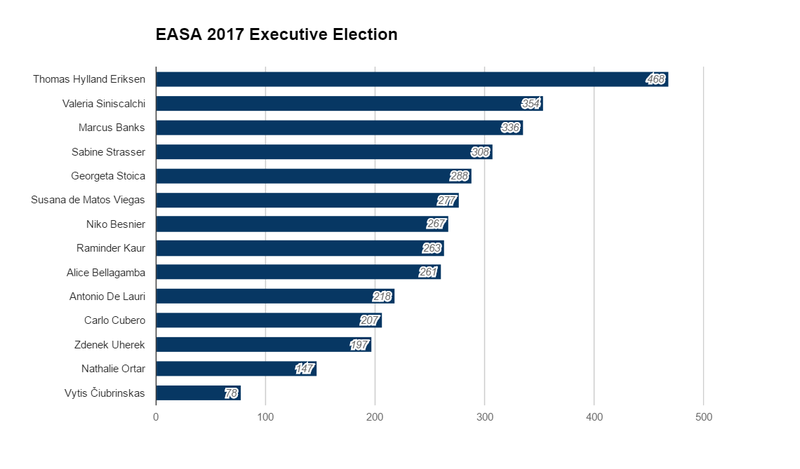 This is the highest electorate and turnout yet for EASA. I have been engaged in EASA since the beginning in Coimbra 1990, serving as editor of the Newsletter from 1992 to 1994 and, currently, as President. In the latter capacity, I have worked towards making anthropology more relevant outside the academy narrowly defined. Following the Annual General Meeting in Prague in October 2015, we wrote the position paper Why anthropology matters, aimed at an external audience. I am also co-chairing, with Virginia Dominguez, the Task Force on Outreach and Advocacy in the WCAA (World Council of Anthropological Associations). Moreover, I believe it to be a main priority in the coming years – and an urgent one currently – to continue to defend the unique perspectives represented by anthropology against its detractors. Finally, I see it as an important and open-ended task to develop European anthropology as a shared field of discourse defined through the organisation of diversity rather than the replication of uniformity. I hereby ask for our members support to allow me to continue this work in the next two years.Professor of Social Anthropology University of Oslo EASA President 2015–2016. Nominating member: Hana Cervinkova (University of Lower Silesia and Czech Academy of Sciences). Supporting member: Paolo Favero (University of Antwerp). I am Associate Professor at the Ecole des Hautes Etudes en Sciences Sociales and I coordinate the EHESS PhD program in Marseille (France). As a member of the current EASA executive committee, I have been part of the scientific committee of the Milan conference and in charge of the EASA networks. EASA offers anthropologists different spaces to work together and engage in a critical debate, and the networks are a particular important resource to sustain the scientific vitality of our association. If I am reelected, I would like to continue supporting networks and their activities, and I will work to improve the internal functioning of our association. EASA is also a powerful instrument to put pressure on European institutions and to support anthropology and anthropologists inside and outside research and teaching institutions. As a member of the next executive committee, I would like to contribute to EASA’s actions against the precarization of anthropologists and to help strengthening the place of anthropology in Europe by promoting collaboration with other associations. Nominating member: Adam Kuper (London School of Economics and Political Sciences). Supporting member: Benoît de l’Estoile (CNRS, Ecole Normale Supérieure, France). I am a social anthropologist teaching and researching at the University of Oxford; I work on topics ranging from ethnicity and nationalism, to the use of visual methods. I would be honoured to join the Executive Committee and to be able to give something back to an organization from which I have benefited enormously. Following the Brexit vote in the UK, and the outcome of the US Presidential election, we are seeing the rise of populist and largely fact-free ideas about what society is and who is eligible to be part of it. Anthropologists can offer nuanced accounts of issues such as migration, gender, and human rights, and EASA members can play a vital role in helping citizens and politicians in Europe understand the world we all make for ourselves. I would seek to develop strategies for EASA members to present their work more effectively to journalists and policy makers. Nominated and supported by: Ulf Hannerz (University of Stockholm) and Thomas Fillitz (University of Vienna). As a member of the EASA since 1993 I would be delighted to work for the executive committee. I was a member of the local committee of the EASA conference in Vienna (2004) and since then have attended many conferences, presented papers and chaired panels. My fields of scholarly interest include the tensions between right wing populism and transnational political activism in Austria in the early 2000s, issues of autonomy, equality and diversity in the context of transnational marriages and EU border regimes, as well as politics, refugees and humanitarian interventions in Turkey. As a member of the executive committee I would place particular emphasis on the integration and visibility of young scholars. This is also a major focus of my work at the University of Bern, where I am based. I am moreover interested in our organisation’s public engagement and commitment tosupporting colleagues at risk. 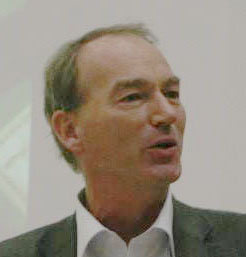 Nominating member: Thomas Fillitz (University of Vienna). Supporting member: Helena Wulff (Stockholm University). EASA has come to represent one of the major anthropological associations in which I recognize myself as a young researcher in motion. Having a fieldwork experience in Europe (Romania), Indian Ocean (Madagascar, Mayotte and Reunion Island) and a teaching experience as a Visiting Lecturer in Estonia and Italy, I integrated different multidisciplinary research teams in Europe and Indian Ocean Region. Since my nomination as a Secretary and Treasurer of the Italian Association of Anthropologists in 2012, I have been actively involved in activities concerning the future of anthropology and the importance of research networking. If elected, I will promote the following long-term goals: Strengthening the presence of young anthropologists inside academia and in the public domain; Making anthropology more relevant to European decisional and funding institutions; Recognising the teaching of anthropology at the level of secondary education. Nominated and supported by Filippo Zerilli (University of Cagliari) and Michal Buchowski (Adam Mickiewicz University). In 1990, as a junior lecturer at U. Coimbra, I participated enthusiastically in organizing the first EASA conference, subsequently becoming co-editor of EASA Newsletter (1994-1996). Much later, when I became President of the Portuguese Anthropological Association (2006-2009), my main aim was to break frontiers, working to include in the association Portuguese-speaking anthropologists from around the world. Meanwhile, as a researcher, I focused on kinship, personal movement, and territoriality among the indigenous people of Brazil and, more recently, in Timor-Leste (SE Asia). In 2015-2016, I actively re-engaged with EASA as member of the Scientific Committee of the Milan 2016 Conference. Through this experience, I became aware of EASA’s widening membership, realizing the need to break political and linguistic walls, strengthening the inclusive character of EASA, and making anthropology more visible at different educational levels throughout Europe. This sustains my motivation to become a candidate to EASA next Executive Board. 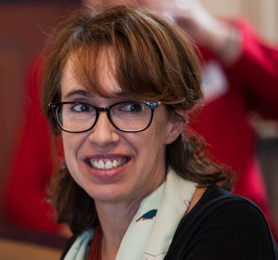 Nominating member: Susana Narotsky (Universitat de Barcelona). Supporting member: João de Pina-Cabral (University of Kent). I am Professor of Cultural Anthropology at the University of Amsterdam, editor-in-chief of American Ethnologist, and PI of an ERC project entitled "Globalisation, Sport and the Precarity of Masculinity". During my 2015–17 term on the Executive Committee, I took an active role in revising the constitution to better reflect the membership’s needs and be more inclusive of graduate students, efforts that I will continue to foster. At EASA 2016 and on various other occasions, I organized very well-attended workshops on publishing and grant writing, designed in particular to increase success rates in under-represented regions, and I will continue to work with members of the executive Committee to increase funding for the social sciences. As a transnational citizen, I see as a priority fostering communication and mutual support amongst different anthropological practices across national and linguistic boundaries within and outside Europe, endeavours that EASA is strategically placed to pursue. Nominating member: Jeanette Edwards (University of Manchester). Supporting member: Andre Gingrich (University of Vienna). The value of EASA speaking across borders and against nationalist and separatist forces has probably never been so important as it is now. I hope to make a more inclusive, creatively diverse, and socially relevant agenda for anthropology. 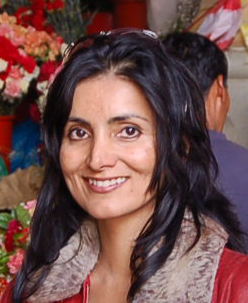 I have conducted research in India and Britain on popular religion, visual and digital anthropology, gender, race/ethnicity, migration, censorship, nuclear power, environment and health, social movements, and sustainable cultures. I was formerly Treasurer for the Association of Social Anthropologists (2007-2012), and co-organised the annual anthropology conference with Jawaharlal Nehru University in New Delhi. I was Chair of the World Council of Anthropological Associations Ethics Taskforce (2013-2016) and continue to play a part in promoting and collaborating with scholars in the global south. I seek to make anthropology more visible to those in other disciplines and outside the academy, having produced ethnographic films based on my research interests that combine my work in culturally diverse theatre. 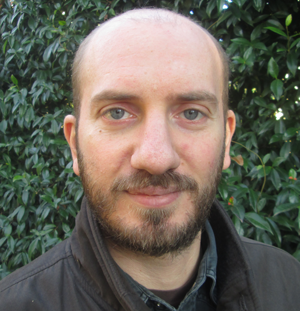 Nominating member: Paolo Favero (University of Antwerp). 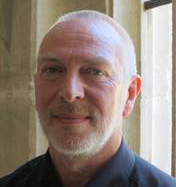 Supporting member: Jon Mitchell (University of Sussex). Creating the conditions so that younger generations will see their anthropological skills increasingly acknowledged in academic and non-academic contexts is part of the effort to build a future for European anthropology. We need to strengthen the dialogue among all those concerned about the professional role of the anthropologist, and cross-fertilize our experiences of work and collaboration with institutions, civil society organizations and enterprises across Europe. I would like to put what I have learnt thanks to research, teaching and institutional activities at the service of EASA and the youngest sections of our anthropological community. Between 2012 and 2015, I directed Milan-Bicocca Master Program in Cultural and Social Anthropology, and I am now the Deputy Director of the Doctoral Program. I am also completing an ERC Grant on the legacies of slavery. Together with Silvia Vignato and Simone Ghezzi, I was co-convener of EASA 2016, and member of the Scientific Committee. Nominating member: Andre Gingrich (University of Vienna). 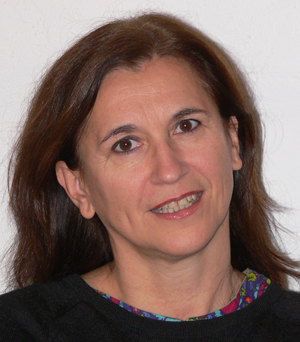 Supporting member: Cristina Papa (University of Perugia). I studied anthropology in Italy and have been a nomadic academic since completion of my PhD in 2010, with fellowships in the USA, France and Germany. From 2014 to 2016 I was a lecturer at the University of Milan-Bicocca and I recently joined the Chr. Michelsen Institute in Norway as a senior researcher. I have conducted research mostly in Afghanistan and Pakistan focusing on law, human rights, war, freedom and humanitarianism. There are several challenges today for the anthropological community and EASA has a voice that should be heard. Three major issues are at the core of my candidature: affirming the crucial role of anthropology in the European institutional-research environment, today heavily influenced by policies in the "hard" sciences; developing interdisciplinary collaborations and cooperation between academic and non-academic anthropologists; encouraging the diversification of anthropological knowledge production, for example by supporting non-traditional, innovative journals and anthropology blogs, which today represent an important way to enhance our public engagement. 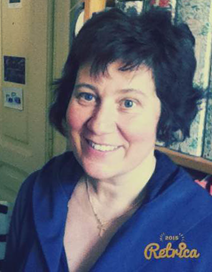 Nominating member: Julia Eckert (University of Bern). 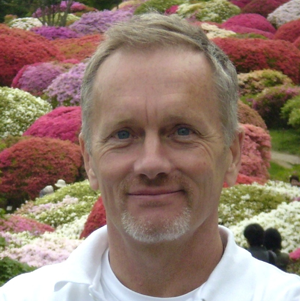 Supporting member: Thomas Hylland Eriksen (University of Oslo). 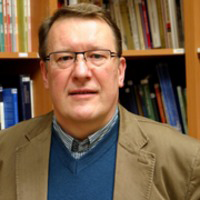 I am the current head of curriculum of the Social Anthropology programme at Tallinn University.As an elected member of the EASA's Executive, I would be interested in expanding the presence ofaudiovisual ethnographies in its conferences, networks, and outreach programmes. I am particularlyinterested in raising the public profile of anthropologists that work with films, performances, soundrecordings, interactive media, museums, urban interventions, and other mediums. I served as Co-Chair of the Local Committee of the 2014 EASA Conference in Tallinn. During thatexperience I developed insights that would be useful in organising the next conference in Stockholm. The 2014 conference featured innovative formats, specifically the Laboratories and aprofessional Film Programme, of which I played a direct role in conceptualising and organising. Iam interested in exploring ways to expand these formats for the upcoming Stockholm conferenceand promote them throughout the EASA networks. See my profile here. Nominated and supported by Sarah Green (University of Helsinki) and Jeanette Edwards (University of Manchester). EASA has played an important part in my professional life since I joined the organization in 1993 as a research fellow in the Ernest Gellner ́s Centre for the Study of Nationalism in Prague. I currently direct the Institute of Ethnology of the Czech Academy of Sciences and teach anthropology at Charles University in Prague and the University of Pardubice. I am the President of the Czech Association for Social Anthropology and the co-ordinator of the UNESCO MOST (Management of Social Transformation) programme in the Czech Republic. In my research I focus on migrations, the Roma and transformations in Central Europe and the Balkans. If I am elected to the Executive Committee, I will be committed to fulfilling EASA’s mission in several key areas. 1. I will strengthen communication between anthropologists from different European countries and disciplinary traditions. 2. I will support especially early-career anthropologists and their role in EASA. 3. I will work toward enhancing better visibility of social anthropology in the wider public and political arena by bringing the anthropological vision to impact decision making processes in Europe. 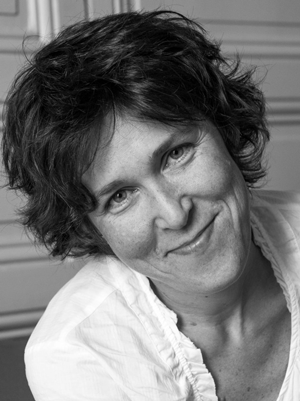 Nathalie Ortar is a research fellow in anthropology since 2004 who works in Lyon (France) for a ENTPE/University of Lyon/CNRS laboratory specialized in urban studies and mobility (LAET). She has been invited scholar at the University of San Jose (USA) in 2010-2011. Her research has mostly focused on kinship, material cultures and everyday life in France, Russia and the United-States. Her habilitation defended in 2016 was on dwelling in a world marked by the social, symbolic and economic importance of movement. Since 2010, she has also been developing research on discards studies - she co-organizes a research seminar at the Ecole des Hautes Etudes en Sciences Sociales (EHESS) on second hand -, as well as on energy. 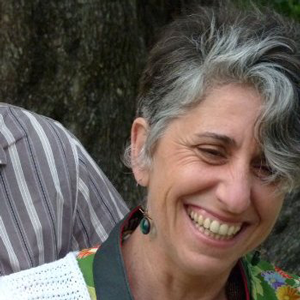 She is part of several research network at a national and international level and member of the editorial staff of a new anthropological magazine Lectures Anthropologiques. Nominating member: Simone Abram (University of Durham). Supporting member: Françoise Lafaye (ENTPE- France). 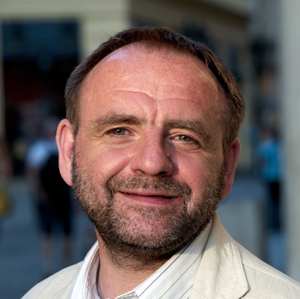 Nominating member: Petr Skalník (University of Hradec Králové). Supporting member: Christian Giordano (University of Fribourg). The top five will form the new Committee which will preside over the Association until 2019 and be responsible for the preparation of the next conference in Stockholm in 2018.